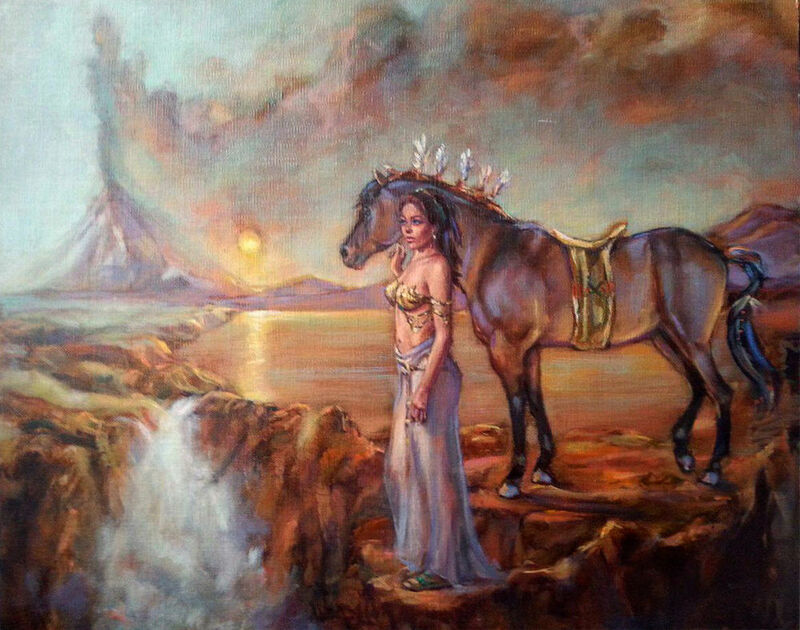 This spectacular original oil on linen board painting depicting a goddess withher steed in a mystical land. 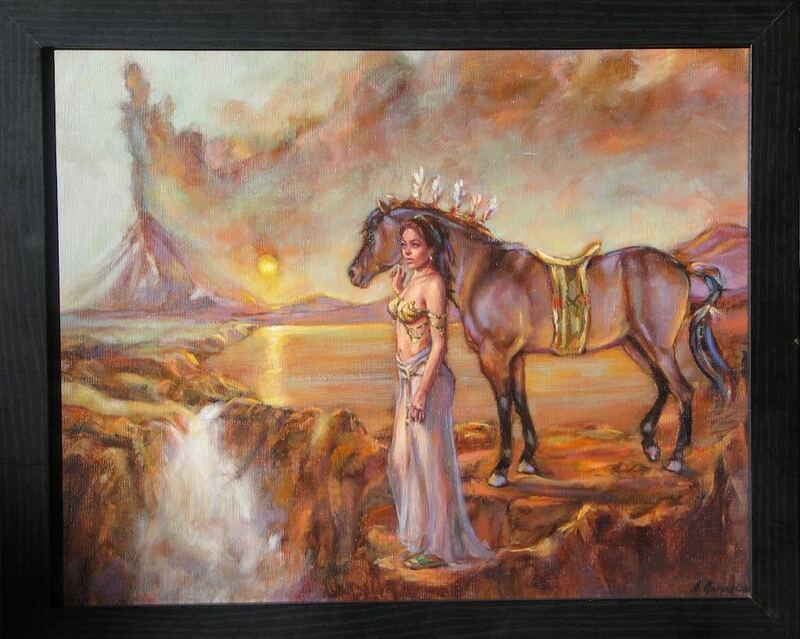 This is a fantastic painting comes framed and would make a great addition to any collection! Approximate Image dimensions: 20" x 16"